During Beauty and Jane's first trip to the NFR in the 2011 season, they had great success at barrel racing. The first gold buckle came on the 3rd round, Saturday night when they finished first place while setting the fastest time of the rodeo thus far. Fast forward to round 8 when they pulled off another first place gold buckle and a trip to the stage of the South Point casino for the awards. Then just two nights later on the last round of the NFR, they won another first place gold buckle in barrel racing. 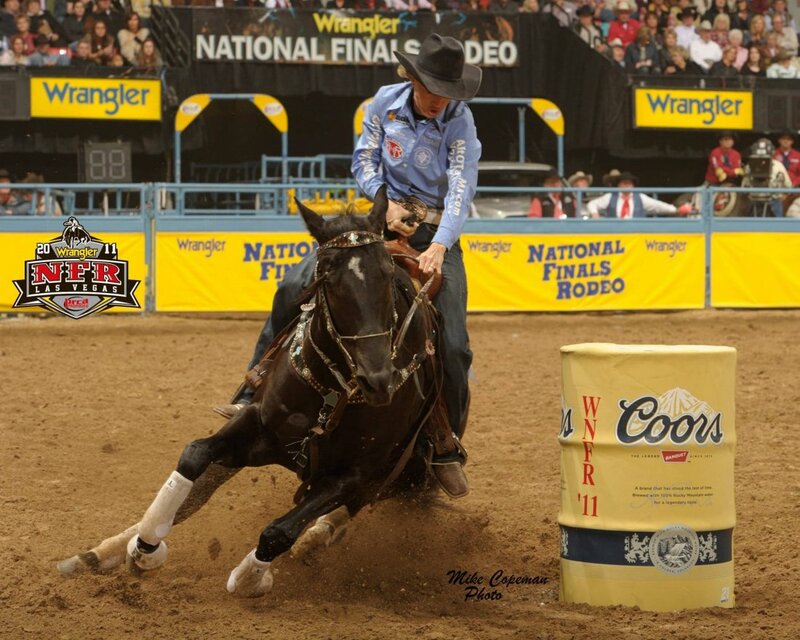 After proving her ability in the 2011 season and at the NFR, Beauty received the 2011 Rising Star Award from the WPRA. Overall, the first ever trip to the NFR was a great success for the entire Melby family including Beauty. Jane and Beauty WILL be back again in 2012! Beauty carried Jane to 6th place in the overall standings for the WPRA in 2011. It was a long road throughout the season but in the end paid off very well. Jane could not have done it without her star horse, RC Back In Black. Beauty ran the fastest time of the entire 2011 Houston Rodeo. There was not a faster run than her throughout the entire 20 days!